MTS Management Group is proud to announce Ohio-based country artist Richard Lynch and Milan-based “Whiskey and Cigarettes Show” (W&C) have been nominated for the 2019 New Music Awards. Richard Lynch is nominated for Best New Country Artist alongside Luke Combs, Mitchell Tenpenney, and Jimmie Allen. W&C is nominated for Best Internet/Syndicated Radio Station alongside Country Bear, Sound Machine Country, and others. This is the first New Music Awards nomination for Richard Lynch. W&C won the NMA in 2015. The annual New Music Awards are given for excellence in music to both recording artist and radio stations, by New Music Weekly magazine. First round nominations are submitted by members of the press, radio, music industry and fans, with the top performing nominees being selected for the final ballot. Voting for the Final Round Winners is underway at newmusicweekly.com/nma-ballot/. 2018 winners included Sam Hunt, Maren Morris, Thomas Rhett and Midland. Additional 2019 nominees include Blake Shelton, Kenny Chesney, and Jason Aldean. New Music Weekly is a nationally distributed trade magazine for the radio and music industries. Following the tradition of Bill Gavin and the Gavin Report, New Music Weekly interprets data from the Spins Tracking System for music industry executives and artists across the United States. Weekly editorial features include highlights of the top singles impacting radio and “spotlights” of new music from the Top40/Pop, Country, AC/Hot, and College music genres. ABOUT RICHARD LYNCH: Richard Lynch is an Ohio-based country music artist, who has compiled a long list of country hits and chart toppers in the world of traditional country music. His single, “A Better Place” topped the New Music Weekly AM/FM country chart, the IndieWorld Country Record Report, and spent an incredible 32 weeks atop the Roots Music Report True Country chart. His next 4 singles also topped the country airplay charts, including a duet with Grammy Award Winner, Rhonda Vincent. Richard’s single, “Country Music Isn’t Country Anymore” went Top 25 on the iTunes Canada sales chart. His current single, “Pray on the Radio” is receiving Christian radio airplay and charting. 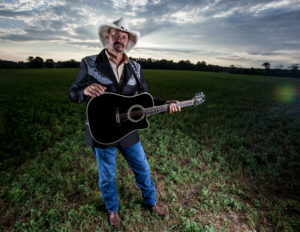 Richard is a multiple-award-winning artist and a member of the Independent Country Music Hall of Fame and Ohio Country Music Hall of Fame, who has appeared on WSM Radio Nashville, RFD TV, and countless other media outlets. He is also the host of “Traditionally Lynch,” airing on TV and radio, and he’s the founder of the Love Tattoo Foundation for veterans. ABOUT W&C: “Whiskey And Cigarettes Radio Show” is a weekly show, originating in Milan, Italy, hosted by the “Romeo of the Rodeo” Nik Pizzigoni. Nik is a Nashville Universe Awards Winner, International Music and Entertainment Association Award Winner, a New Music Awards Winner, AMG Heritage Awards nominee, and an Independent Country Music Association nominee. The show features a unique blend of classic, current and indie country, trivia, contests, artist spotlights and interviews and Nik’s European charm. Previous guests have included Charley Pride, Hank Williams, Jr.,Charlie Daniels, Steve Wariner, John Rich, Oak Ridge Boys, Lorrie Morgan, Bill Anderson, Luke Bryan, Bryan White, Travis Tritt, Lee Greenwood, Collin Raye and many others. The Ohio Country Music Hall of Famer is releasing his latest self-penned single on April 1st. “Keyboard Cowboy” was recorded at Beaird Music Group Nashville. The timeliness, the humor, and the great melody and vocal are sure to make this another hit for Richard. Saddle Up, Country Fans! IMAAI.org is a registered non-profit with the purpose of being a resource center and knowledge bank for Independent Musicians, authors, poets, performing artists, visual artists, etc. Originally founded as Indie Artists Alliance in 2005, we converted our organization to a non-profit late in 2017, eliminating membership fees to the website. Joining the site is free. During 2019, we will be adding a lot of additional features and functions to make this an even more valuable site.